The Oconee County Board of Commissioners last week acted quickly to change the county’s sign ordinance in an effort to strip the document of any reference to the content of the signs and thus avoid a lawsuit. The Board took the action at the urging of County Attorney Daniel Haygood, who told the Board he was afraid the existing sign ordinance left the county vulnerable to a legal challenge in light of the decision by the U.S. Supreme Court in an Arizona case in 2015 greatly restricting how local governments can regulate signs. In other action at its meeting last week, the Board approved, in a split vote, a variance to allow a pole barn built without a permit to continue to exist on residential property on Julian Drive. The Board voted to go forward with expenditure of $1 million for a second aeration basin at its Calls Creek wastewater treatment plant. The Board also voted to join an opioid law suit designed to bring back to the county resources from those who have benefitted from the epidemic. Haygood also reminded the commissioners that the county has had two major lawsuits in recent years regarding sign ordinances. Haygood made specific reference to a 2015 case in which U.S. Supreme Court ruled that Gilbert, Ariz., violated the First Amendment by treating signs promoting a church's worship services differently from how it treated political campaign signs. Haygood said he had sent the Board four case studies on the Friday before the meeting dealing with the impact of driver attention on crash risk, how billboards affect economic prosperity, and the safety impacts of the emerging digital display technologies for outdoor advertising. “I sent you a reminder on Monday to make sure you read them,” he said. Haygood asked the Board to enact the legislation on first reading, and it did so. The Board of Commissioners at its Jan. 30 meeting, on the advice of Haygood, had imposed a one-week moratorium on the issuance of sign permits so the county could revise the ordinance in light of the changing legal landscape. The moratorium expired at 8 a.m. on Wednesday. The ordinance adopted by the Board on Tuesday night (Feb. 6) removes references that make even indirect reference to content. That provision was removed from the ordinance approved by the Board. The section of the old ordinance dealing with the regulation of signs for Temporary Events was radically modified, eliminating references to yard sales, elections, and signs about remodeling, because those are all content specifications. Code enforcement will retain the right to regulate the timing of temporary event signs. The Board voted 3 to 2 to grant John A. Long, 1321 Julian Drive, just north of SR 316, a special exception variance to allow him to keep his 1,200 square-foot-barn in violation of the county’s Unified Development Code, which restricts such structures to 1,000 square feet on residentially zoned property. Long told the Board he never applied for a building permit for what he called a pole barn, though he admitted that he asked the county about requirements for such a structure. Code Enforcement found the violation, Acting Planning and Code Enforcement Director Sandy Weinel told the Board. She said the county informed Long he could reduce the size of the barn or attempt ot get approval of the variance. Two neighbors spoke in opposition to the variance request, contending that Long was operating a furniture finishing business out of the barn and that noise and chemicals from the operation were adversely affecting them. Long labeled that “fake news,” but he did admit that he stored furniture in the barn for a business operated by his father. Commissioner William “Bubber” Wilkes made a motion to deny the request, which was seconded by Commissioner Chuck Horton. Wilkes and Horton voted in favor of the motion, but Commissioners Mark Thomas and Mark Saxon voted against the motion to deny. Commission Chair John Daniell voted with Thomas and Saxon in breaking the tie. Saxon then made a motion to approve, seconded by Thomas. Daniell joined the pair in approving the variance. County Administrator Justin Kirouac asked the Commission to stipulate that Long must get a building permit for the structure within 30 days, and Saxon, Thomas and Daniell voted to add that requirement. The Long request was one of three rezone issues before the Board on Tuesday night. The Board approved unanimously a request by Westminster Christian Academy, 1640 New High Shoals Road, for special use approval to allow it to build two modular, temporary classrooms on the school campus during construction of an enlarged facility. The Board also approved unanimously a special exception variance to allow for elimination of a buffer between two properties on Virgil Langford Road at the Oconee Connector. John-John Investments LLC of Athens is developing the property for a bank, next door to the existing Bank of the Ozarks. Ken Beall of Beall and Company, 3651 Mars Hill Road, representing John-John Investments, said the size of the property restricted what he can do in accommodating the county’s Unified Development Code, which requires the buffer between the two properties. “When you are dealing with just a little bit over an acre,” Beall said, “and you have got to get all of the parking spaces, all of the building, all of the islands in the parking lot, you have to have a canopy tree on them, and you’ve got an underground detention area in this particular case, then it becomes difficult to fit utilities on the property,” Beall said. The Board of Commissioners had postponed a decision on a request at the Dec. 30 meeting by Water Resources Department Director Wayne Haynie for spending $1,030,993 for construction of a second aeration basin next to the one currently under construction at the Calls Creek wastewater treatment plant on the north side of Watkinsville. Haynie said the county could use the stored water for internal needs of the plant, to sell for agricultural use, and to supply water to the county’s two parks on Hog Mountain Road, Veterans Park and Herman C. Michael Park. The second aeration basin also could be used for expansion of the Calls Creek plant to 3 million gallons per day in the future, Haynie said. The delay was to give citizens more opportunity to comment on the request. Jim McGarvey, 1170 Grace Lane, president of Friends of Calls Creek, told the Board that the expenditure was only part of the cost required to get reusable water to the county’s two parks on Hog Mountain Road as well as to any other customers. Haynie acknowledged that little of the infrastructure needed to actually pump water to those sites was in place. The Board voted unanimously to go forward with the construction of the second aeration basin. County Attorney Haygood made the case to the Board that the county should join in multi-district litigation against the manufactures of opioids and others. Haygood said that Clarke County had agreed to enter into a lawsuit that is consolidated in the northern district of Ohio. More than 200 governmental entities have filed suits so far, he said. The firm of Blasingame, Burch, Garrard and Ashley of Athens is handling the litigation for Clarke County. “Some pretty bright lawyers have figured out that distributors of opioids, manufacturers of opioids and some leading figures who advocated the use of opioids--influencers of public opinion--all probably have some liability,” Haygood said. The Board unanimously adopted a resolution authorizing a contract with Blasingame, Burch, Garrard and Ashley, which will cover all of the costs of the suit, including those of Haygood as he works on the case. County Finance Director Wes Geddings gave the Board the Financial Update for he second quarter of Fiscal Year of 2018. Included was a report on Special Purpose Local Option Sales Tax projects. Sales tax collections are up 4.74 percent over a year ago, Geddings said. Geddings said the $2.6 million in unspent 2004 SPLOST funds will be used for the ongoing Courthouse security updates. He also said that the $1.3 million in the 2009 SPLOST for Fire Station Facilities and Equipment will be used as the county builds a replacement for Fire Station #8, now on the Oconee Connector. I was not able to attend the meeting last week. Sarah Bell did attend and recorded the video below. The discussion of the sign ordinance begins at 10:30 in the video. The discussion of the request by Long for his variance begins at 22:28. 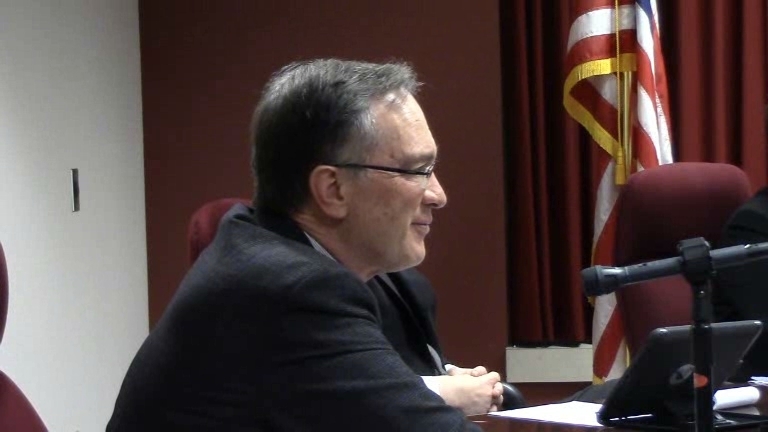 The request by Beall for a variance for the bank is at 52:20 in the video. Haynie made his request for the $1 million addition to the Calls Creek plant at 1:05:50. Discussion of the opioid litigation is at 1:21:48 in the video. Geddings gave his financial report, starting at 1:27:00. OCO: BOC 2 6 18 from Lee Becker on Vimeo. It is a shame that you can disregard the laws and codes of the county, conduct illegal activity on your property that is harmful to neighbors, and still get a variance approved. Is the process fixed or do some commissioners not care about the truth and taxpayer concerns? "Haygood said he had sent the Board four case studies on the Friday before the meeting dealing with the impact of driver attention on crash risk, how billboards affect economic prosperity, and the safety impacts of the emerging digital display technologies for outdoor advertising. 'I sent you a reminder on Monday to make sure you read them,' he said." A wise action by Mr. Haygood. It is difficult to understand how requiring a sign to be "aesthetically pleasing" violates First Amendment guarantees of free speech. I guess there have been cases brought. Whether any have been successful is missing is unknown.